Phil Ivey No Longer On Top 10 All Time Money List | Poker2nite A Poker site by Poker Players For Poker Players. Dan Smith, Jason Koon, Phil Ivey, Steve ODwyer. Posted on Wednesday, March 20, 2019 by “T”. Every poker fan or player is familiar with the name of Phil Ivey, an American living legend who has won 10 WSOP bracelets and dubbed by Wikipedia as the unofficial best poker player in the world. As Ivey continues to keep his standards high and mainly focuses his gameplay on high-stakes cash games instead of participating from time to time at tournaments, it has now resulted to the 42-year-old poker pro being “kicked out” of the top 10 All Time Money list as Jason Koon, Dan Smith and Steve O’Dwyer surpassed him thanks to their lucrative finishes in various tournaments. Steve O’Dwyer has won huge amounts in the recent months, which includes $1.3 million for placing 2nd in the $25,500 NLHE MILLIONS World at the partypoker Caribbean Poker Party, Nassau on November 2018. He also won 1st place in the partypoker LIVE MILLIONS UK at the Dusk Till Dawn in Nottingham for $585,000 in October 2018. His current total live earnings are worth $26,820,599. Dan Smith rose up the ranks to settle in 10th place in the All Time Money List after he finished 3rd place at the HK$2M NLHE Triton Poker Super High Roller Series Jeju 2019 Main Event for $1.7 million. His current total live earnings are worth $27,704,823. Jason Koon has catapulted to 8th place in the All Time Money List thanks to his outstanding finishes at the Triton Poker Super High Roller series Jeju this March 2019. In the four days he played at the Triton Poker events, he won a total of $4,645,570! 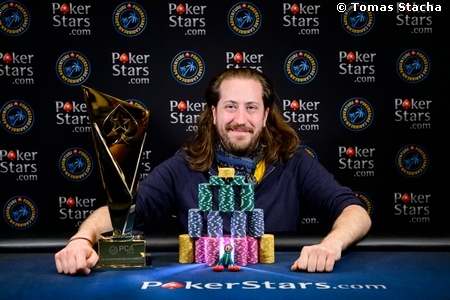 Becoming an ambassador of the Triton Poker series has definitely worked well for him. His current total live earnings are at $27,911,823. Here is the top 15 current All-Time Money List, according to Hendonmob. This thing is happening because Phil Ivey has not been performing well in recent years. The processes where he was accused of cheating made Ivey to lose a lot of time, money and nerves. If Ivey pays his debt and plays poker, he can return to the top 10 of all time money list but now depends only on what he can do. The future will tell us what will happen to his career. why he started doing what he did with the casinos. Because he wasnt doing good by playing poker. Buuut… He kinda not involved in all those ultra-high highstakes games, like at all. Neither publicly nor privately. In order to have some results you have to play the game. And he doesnt play poker that often any more. probably he didnt play so much after this problem with 10 millions and court,he spent lot of time and money on it and everything changed!ofcourse every year we have bigger and bigger tournaments,more money are on them and its not same to win some tournament 10 years ago and to win in 2019.!poker changed in every way! Okay, I mean who am I to criticise him, but… He is probably no longer living off his former poker achievements moneywise, he lives on what he earned via bookdeals and product endorsements, investments etc. That is why he is no longer relevant on the list IMO. Also probably making more money with private cashgames in Macau etc. than anything any toruney could offer him anymore. He must have limited his expenses, for quite some time now. Such players cant start doing anything else after a point. So either he will keep earning money by this or will be burned. As noted above, he might be earning money in private games. Not easy to find details about such games publicly. if he pay this big amount of 10 millions and then he back to play live poker,he will be in short time on top 10 list of earnings,but if he dont do that,then he will not be on this list for long time or maybe never more!time will show on which position he will come! It’s painful for Phil Ivey to pay this amount of money. If he was a very rich man, he would get into this situation. Now he is upset and very disappointed but the law will not change. If he has influential friends it would be good for him but he does not friends with big power like politicians to be helped. yes,I think also as you!he will not back this money,but his career in poker then is over!he can only play private tournaments in some country,but to play on live tournament,especially in america,he is finished with that!he knewt that from star of problem! with how much will be left afterwards? Will he be able to enter big tournaments where the big money is? he is doing preaty well in poker… just he isnt playing so much… thats why he fall out of top 10…. he has according to the chart 28 millions in winnings. Which is a great amount of course.